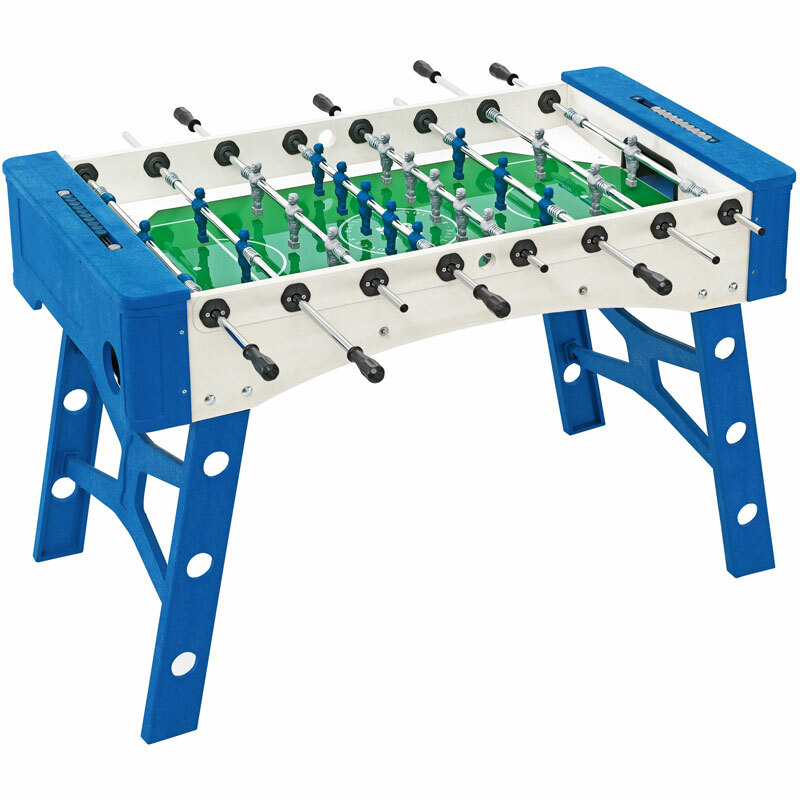 The Mightymast Sky Outdoor is a full-size professional all-weather Italian FAS table suitable for both indoor & outdoor use. Cabinet constructed using an innovative compound of high-tec plastic reinforced with fibreglass. Stainless steel screws and bolts with a furnace toughened glass playing surface. Indestructible blue and silver players and scorers. Triple plated, heavy duty, fast action, solid steel through poles. Available in a smart blue & white finish. Dimensions Assembled: L137 x W76 x H90cm.